Energy Savers of Georgia was started during the middle of the Jimmy Carter-era energy crisis. 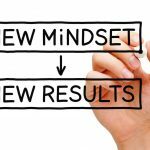 Wayne Bell was betting against all odds that his different approach to the HVAC marketplace would lead to the success of his fledgling company. The year was 1977. Jimmy Carter was president and his America was in the middle of a major energy crisis. 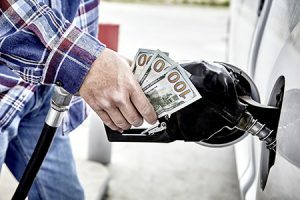 Prices for gasoline were skyrocketing and the lines at neighborhood gas stations were more akin to parking lots than normal drive-through service stations. 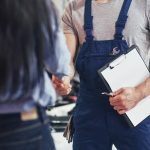 In Columbus, GA, a young HVAC service manager named Wayne Bell decided that it was time to leave the contracting firm he worked for and hang out his own shingle. 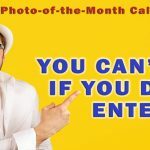 He decided to play the odds and start a new HVAC company, which he named Energy Savers of Georgia. Bell started the company with the idea to be different. 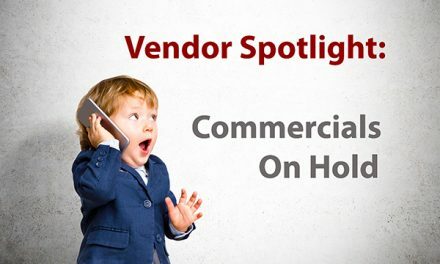 He focused on his commitment to offer top-notch customer care and affordable prices. He set a standard for prompt, reliable heating and cooling repair, installation, and maintenance. According to his son, Bill Bell, they still strive to meet or exceed these standards today. Besides the incredible cost of fuel in 1977, interest rates were crazy as well – 21% on a good day. So Wayne wanted to start small and prove each part of his business as he went. He didn’t want to take out large loans to get the business off the ground. The initial $1,500 bank loan was just to buy a used truck. Wayne Bell had little field experience — he did some installation work at a sheet metal company and had been a service manager, then estimator at an HVAC company. He came into the new business with a service management perspective. So to build the business he started out buying advertising in the local newspaper and television. According to Bill Bell, his dad wanted to build a brand before he actually hired any installers and service people. 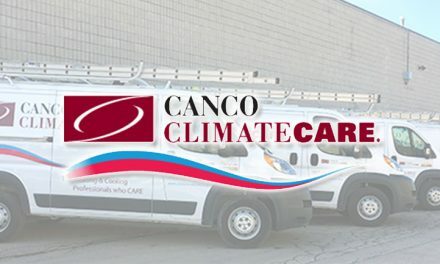 With the energy crisis in full swing, the company was working to upgrade customers’ from 6-SEER air conditioning units to 10 SEER. That was the top of the line. According to Bell, in those days their brand of choice was Rheem, because they could buy the equipment locally. “We didn’t have to stock it. My Dad would sell the job, then go to the distributor, pick up the unit, and go install it,” he says. From the beginning, Energy Savers focused on residential change-outs – service was the proverbial necessary evil. However that attitude didn’t last. According to Bell, the company currently has 50+ employees and operates two distinct departments: service and installation. He says last year the company’s gross annual sales ran around $9.3 million and $2.3 million of that was service. The company has expanded the area it serves as well. Bell says his dad started out serving the residential customers in Columbus, GA. Today the company services 11 cities in Georgia and Alabama in both the residential and commercial marketplaces. Bill (left) and Wayne Bell and the Energy Savers of Georgia team. Energy Savers offers comprehensive indoor air quality and ventilation services alongside their heating and cooling work. Bell says that the technological advances of the last 30 years has made it possible to provide customers clean, breathable air while cutting their energy costs and maintaining a comfortable temperature. 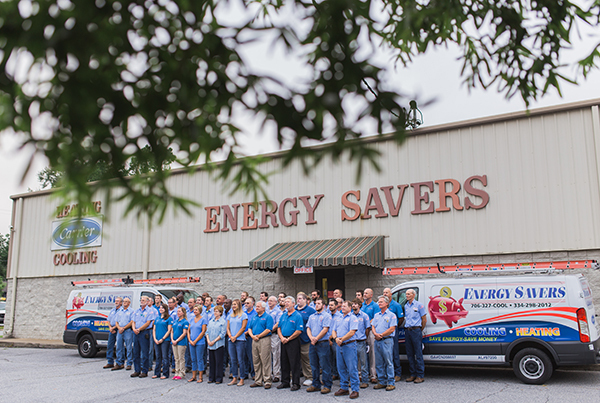 From the days when service was only a necessary evil, today Energy Savers boasts 3,000 maintenance agreements, split evenly between residential and commercial service. 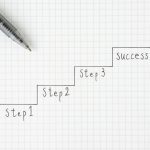 “Our growth is largely based on referrals, repeat customers, and the reputation for excellence we’ve built over the years,” he says. 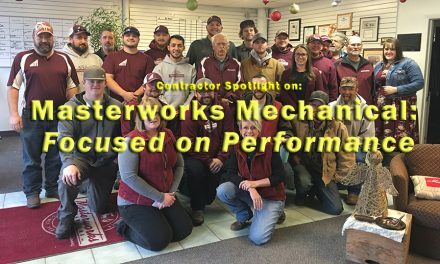 Their primary equipment brand is now Carrier – a company Bell believes is a great manufacturer that believes in good training. Today Energy Savers has earned its place as one of Carrier’s Factory Authorized Dealers. Less than 5% of heating and cooling providers in the U.S. receive this distinction. 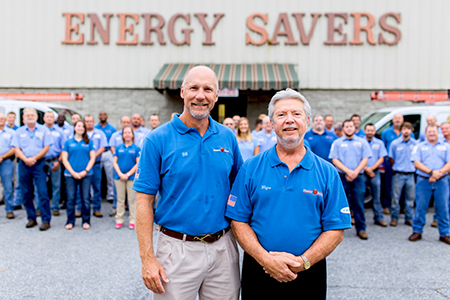 In 2015, Energy Savers won one of that group’s Presidents Award. Energy Savers is BPI (Building Performance Institute)-certified for residential energy auditing and upgrade work. All of these achievements would not have happened without a dedication to training. And Bill Bell is all about training. He began working in his father’s company in 1980 during high School summer vacation. In 1984, after a year in college, Bill decided to leave school and join his father in the business. The company is a member of the Air Conditioning Contractors of America and according to Bell they are very active in an ACCA MIX (Management Information Exchange) Group. Over the years, Bell says he had heard and read about National Comfort Institute in various print and online media. 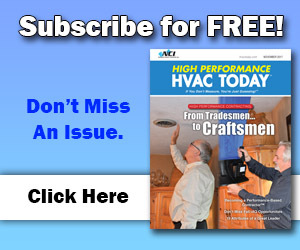 He spoke with a number of other HVAC contractors who were having great success using NCI’s training. Many claimed it was far superior to other technical training they took. Bell says he sat down with his service manager, Jim Grundy, who had taken some of NCI’s classes and felt the training was top notch. 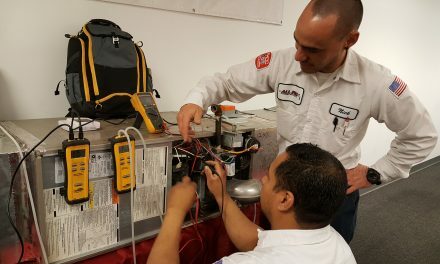 Bell decided to invest in this technical training, sending Grundy and several of Energy Savers’ top service technicians. In 2014 Energy Savers became a member of NCI and remains so to this day. The management of Energy Savers believes strongly in training and education. Most of the field technicians are NATE certified and the firms top techs and managers are NCI certified in a number of disciplines. He says one of the key benefits of NCI is their focus on Performance-Based Contracting. “We’ve been involved with another organization who teaches about home performance testing and things related to treating the home as a system as opposed to looking at the equipment,” he explains. “NCI has more of a technical approach – looking at the static pressure and CO testing, for example. NCI delves deeper into the technology than other organizations. 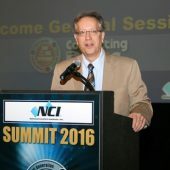 “In other words, NCI’s performance-based contracting takes home performance to a new, higher level,” he adds. Though Bell says the performance-based culture is important to Energy Savers, they still have a ways to go to make it fully implemented. They currently do static pressure and CO testing on every service maintenance call. Prior to their involvement with NCI, these were tests they never did. One struggle they still have with this is turning a higher percentage of maintenance calls into duct renovation or equipment replacement jobs. So far Grundy and Bell haven’t sent all their technicians to NCI training. Bell says their focus has been more on their top techs. “It’s worth taking baby steps in that direction,” he adds.